When someone visits your property and walks to the front door, does your landscape reflect the true you? If you have overgrown plants, outdated landscaping, or just need a breath of fresh air, Dowco can help! Many of our clients tell us that they are looking for a landscape that is low maintenance, so that they don't have to spend a lot of time pruning or watering. They're also looking for their landscaping to be an extension of their home - an area where they can relax, reflect and entertain their families and friends. Whether you just need a few shrubs removed and replaced, or you want to start fresh with something completely new, Dowco's landscape design service is for you! Dowco provides landscape design work for existing clients. Our goal is to build a relationship first and understand your preferences. Rest assured that as a Dowco client you will always be taken care of by our skilled team of experts. 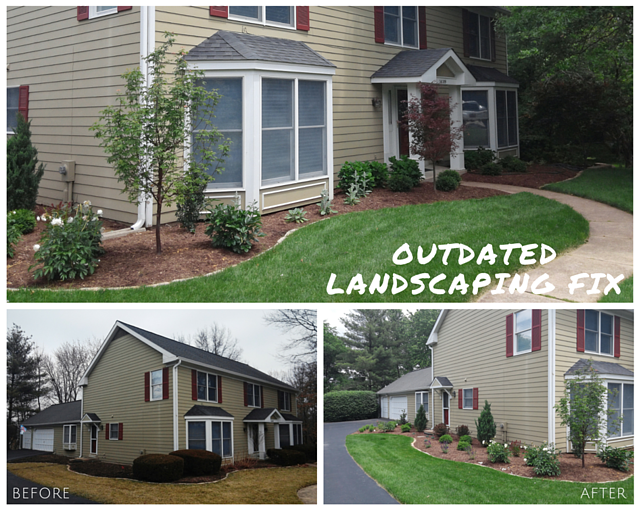 We'll schedule an appointment with you to walk your property and ask a few questions about your existing landscaping and the changes you'd like to make. After a bit of fact finding we'll hit the drawing board. Some projects require a computer drawing and others are sketches by hand in black and white or color. Once approved, you'll pay for 50% of the project up front to cover materials and book your spot on our routes. Depending on the season, your project will be installed within a few weeks. Your landscape designer will be there to set up the job and follow up with you afterwards to pick up the balance of project. We'll suggest a maintenance and watering plan to go along with your new plantings. Want to see a few of our projects? Sure thing. Click here! Dowco designs & installs landscaping for existing maintenance clients. Request a consultation!